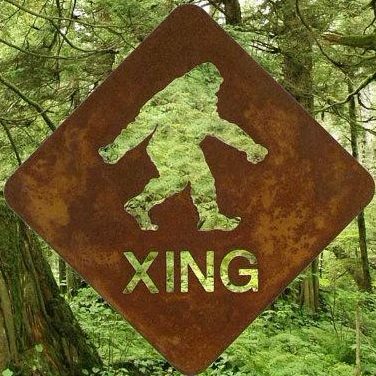 As we complete a second month since the launch of the Sasquatch Close Encounter Network for Interspecies Communication (SCENIC), we are grateful for our results. Our website has received 11,560 views by 3,820 visitors from 75 countries. We have blogged 145 posts, including over 50 experiencers accounts, plus various selected articles, videos, channeled messages, book chapters, and the integrity of the content of the Sasquatch Message to Humanity, Book 1 and 2, written by SunBôw. Thanks to all contributors who submitted their stories to share on our website. We have been currently busy in providing interesting content on our website and need to keep working in improving the settings, presentation and sections of our domain. We thank our 12 donors who donated a total of $615 through our fundraiser. Please continue to support our work in public disclosure and education about our Sasquatch and Star Elders, and the messages they communicate to Humanity. SunBôw will do presentations on Sasquatch Multidimensional Shamanism at the Sacred Circle of the Great Mystery’s Fire in Wind gathering, in Squamish BC, on May 5th-11th. This journey to the coast should also include research expeditions on different grounds. SunBôw has learned shamanic ways and practices with Elder and medicine teachers of over forty Indigenous Nations in the last four decades. He authored The Sasquatch Message to Humanity, Book 1 and 2, which gave birth to the book series, of which Book 3 soon to be released and Book 4 almost already completed, gather a dozen of co-authors channeling Sasquatch and Star Elders. SunBôw has given lectures and workshops in different international gatherings, namely at the first two annual Psychic Sasquatch Spiritual Retreats (2016-17), where he was keynote speaker. In March 2018, he founded the Sasquatch Close Encounter Network for Interspecies Communication (SCENIC.com), focused on disclosure through ancient tribal knowledge and first hand accounts from experiencers. In April 2018, SunBôw started writing a new book entitled ‘Sasquatch Multidimensional Shamanism’, which as for his previous books, is published online for free reading before being turned into a book for sale. This presentation aims at sharing knowledge received from Sasquatch and Star Elders concerning our cosmic history, interdimensionality, non-Human intelligence and the global healing of our collective consciousness.